This section describes the standard CAN values for all CAN related components. (a) Check the CAN No. 1 junction connector (A44). (b) Check the connection diagram of the components which are connected to the CAN No. 1 junction connector (See page ). (c) Check the CAN No. 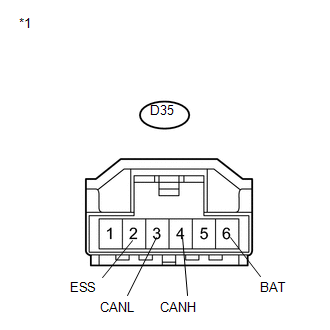 1 junction connector (D56). 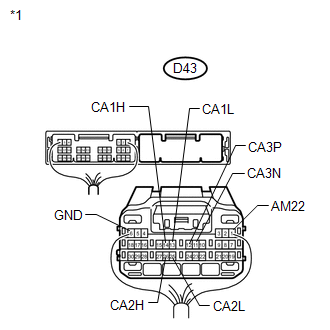 (d) Check the connection diagram of the components which are connected to the CAN No. 1 junction connector (See page ). (a) Check the CAN No. 2 junction connector. 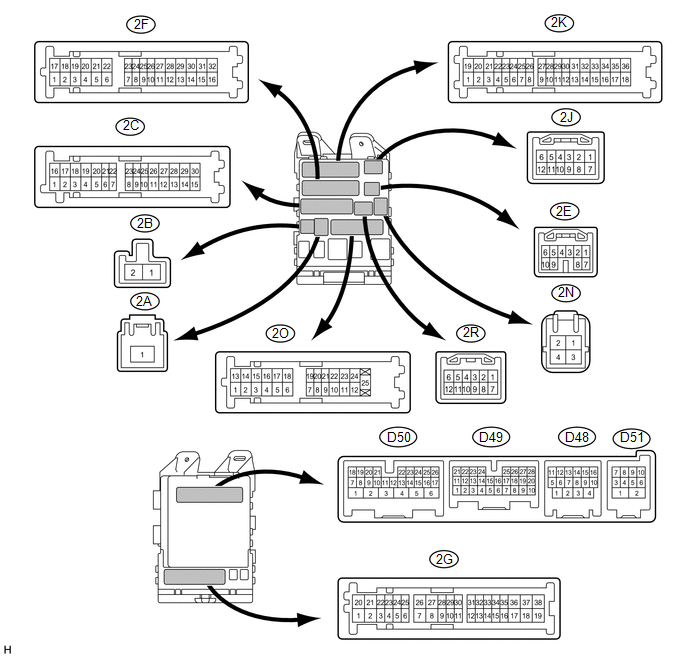 (b) Check the connection diagram of the components which are connected to the CAN No. 2 junction connector (See page ). 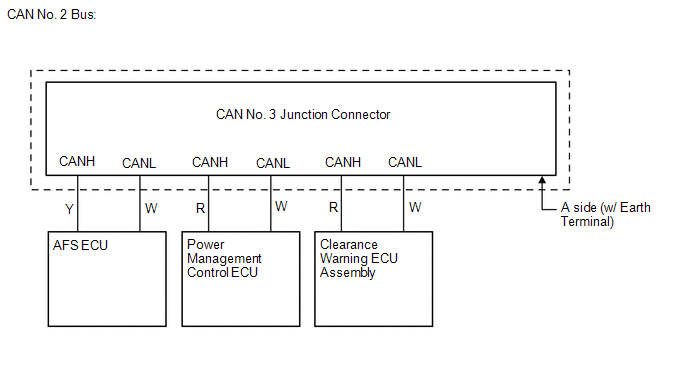 (a) Check the connection diagram of the components which are connected to the CAN No. 3 junction connector. 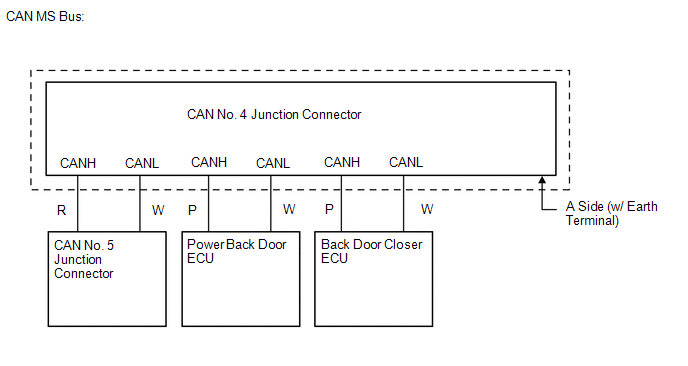 (a) Check the connection diagram of the components which are connected to the CAN No. 4 junction connector. 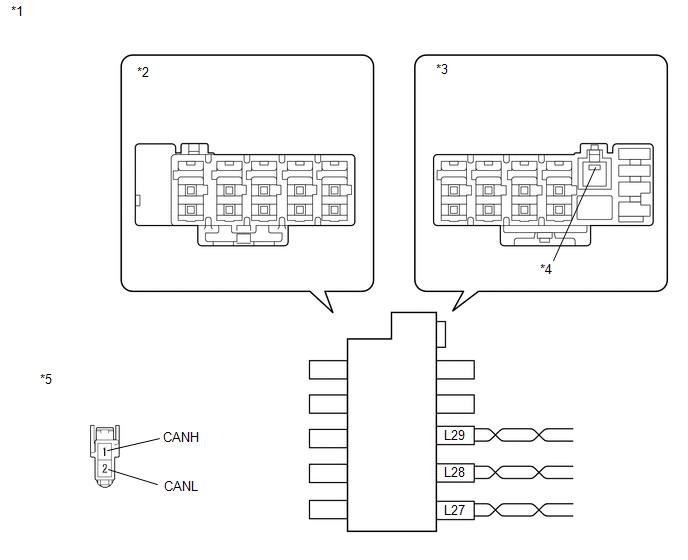 (a) Disconnect the connectors of the ECM. 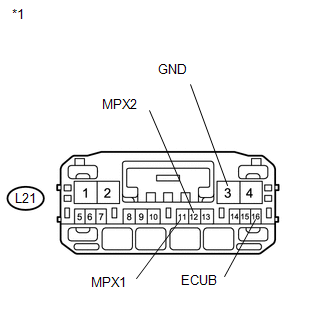 (a) Disconnect the connector of the main body ECU (driver side junction block). (a) Disconnect the connectors of the combination meter. (a) Disconnect the connectors of the power steering ECU. (a) Disconnect the connector of the air conditioning amplifier. 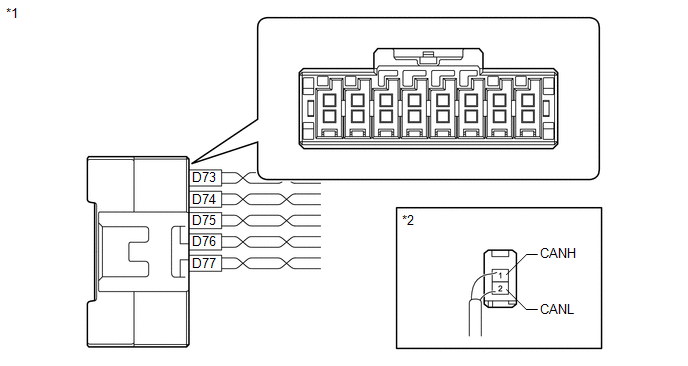 (a) Disconnect the connector of the center airbag sensor assembly. 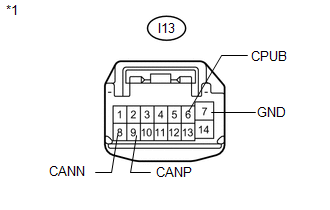 (a) Disconnect the connector of the brake actuator (skid control ECU). (a) Disconnect the connector of the steering angle sensor. (a) Disconnect the connector of the yaw rate sensor. (a) Disconnect the connector of the 4WD control ECU. (a) Disconnect the connector of the certification ECU. (a) Disconnect the connector of the power management control ECU. (a) Disconnect the connector of the power back door ECU (back door motor unit). (a) Disconnect the connector of the back door closer ECU. (a) Disconnect the connector of the AFS ECU. (a) Disconnect the connector of the outer mirror control ECU assembly. (a) Disconnect the connectors of the position control ECU and switch assembly. (a) Disconnect the connectors of the navigation receiver assembly. (a) Disconnect the connectors of the radio and display receiver assembly. (a) Disconnect the connector of the clearance warning ECU assembly.